Can You Overdose on Kava? Kava is the name of a beverage and the plant it is made from, native to many South Pacific islands, as described by Dr. Harry Feldman, an anthropologist at Australian National University. The beverage is revered by island natives for the mild, clear-minded and tranquil inebriation it produces. Definitions of overdose depend on individual tolerance, concurrent use of other intoxicants or medications, frequency of use and the degree of judgment and coordination needed in a given situation. Feldman describes two traditional roles of kava. One is for private use among intimates or a select group, and the other is a communal use for public gatherings. An example of a traditional, private setting uses kava for its calming effect on a young man in a highly ceremonialized marriage proposal ritual, and a common public use is to establish a calm environment for community deliberations. Kava use outside of these settings is considered excessive, a kind of overdose or abuse, as it is simply for inebriation. The active ingredients in kava, kavalactones, are documented by modern research to effect the brain's limbic system, a deep center involved in your emotional responses, according to a 2002 report by Dr. Hyla Cass, an assistant clinical professor of psychiatry at the UCLA School of Medicine. Kava-induced tranquility leaves one clear-headed, but the altered emotional responses may lead to decisions different from un-inebriated choices. A kava-induced state may represent an overdose in the face of highly challenging demands. German law prohibits driving in a kava-induced state. Overdose is relative to external requirements. Physicians at the Mental Health Research Institute of Victoria in Australia reported in 2003, in the journal "Neuropsychopharmacology," the appearance of psychotic syndromes, seizures and motor abnormalities in native multi-year, heavy kava users, but no long-term cognitive deficits. University of Michigan Health Center specialists document significant liver damage from kava use. In Germany, where kava is a legal, over-the-counter stress management drug, there are many recorded cases of liver damage including cirrhosis, some sufficient to require liver transplantation and at least one death. U.S. experience is similar. The kava doses preceding the damage vary from medically prescribed doses for treatment of stress and anxiety to many multiples of recommended doses. An overdose quantity cannot be established. Concurrent use of alcohol lowers the threshold for toxicity. Native, life-long kava drinkers who reported themselves as heavy users in the Australian study demonstrated elevated blood enzyme levels indicative of liver damage. They also had smaller than average stature, immune system abnormalities and inadequate nutritional status. Quantization of an exact overdose level was not possible, but you can clearly overdose on kava over time. Most reports of kava use state that gastrointestinal upset is common with kava use. 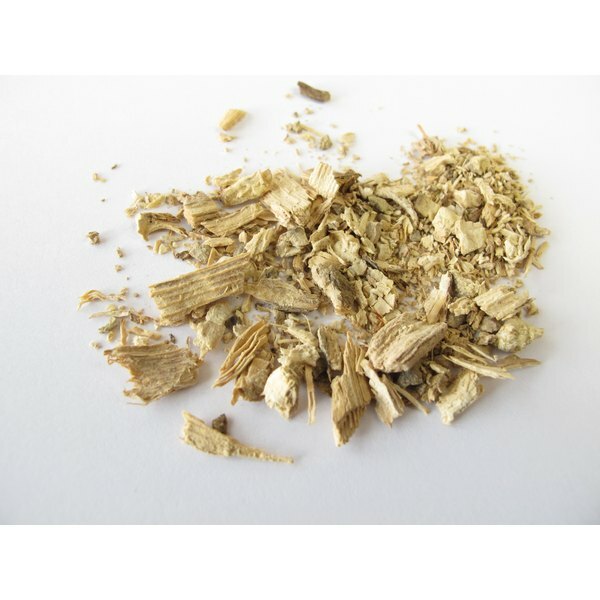 The flavor is also said to be acrid and unpleasantly earthy, specially for newcomers to kava use. In the case of extreme gastrointestinal sensitivity, even a small dose may be experienced as an overdose. Kava is a legal dietary supplement, but self-treatment for any reason may be hazardous without consultation with your physician. Walt Pickut has published peer-reviewed medical research since 1971. Pickut teaches presentational speaking and holds board registries in respiratory care and sleep technology. He is a member of the Society of Professional Journalists and the American Society of Business Publication Editors and is editor for "The Jamestown Gazette." Pickut holds bachelor's degrees in biology and communication, and master's degrees in physiology and mass communication.